The best computer speakers for high-end setups have a whopping 40% off on Amazon. Klipsch’s R-15PM speakers, arguably some of the best computer speakers out there, have $200 knocked off their retail price on Amazon. They usually go for well over $400 (although list price is $499), so getting them for $299.99 is a significant 40 percent saving. It’s also our recommended pick for high-end setups. If you’ve got the money to spare, this is a sure-fire ticket to great audio. We aren’t usually blown away by the more expensive computer speakers because they aren’t all that user-friendly, but the R-15PMs are different. 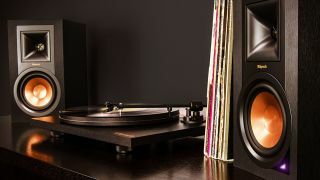 They blend the fantastic audio you’d expect with ease-of-use and connectivity options you wouldn’t (including Bluetooth, USB, 3.5mm AUX, digital optical, and analog RCA / phono). This makes them a versatile choice. They’re big lads at 12.5 x 7 x 8.11 inches, yes, but at least they’re handsome to look at. $200 off helps, of course.